Pentadin is a natural sweetener, which like Brazzein, comes from the Oubli plant which is native to West Africa. It is a protein and is 500 sweeter than sugar. 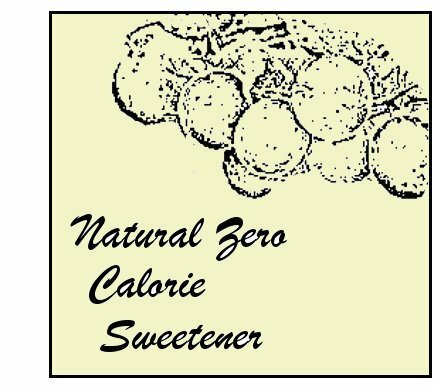 It contains 4 calories per gram but is so sweet that any food portion will contain virtually zero calories. Not very much is known about this natural sweetener, it seems to be very much in the shadow of Brazzein. It was discovered and isolated in 1989. However it does not possess either the sweetness or the excellent taste of it's twin sweetener so it is likely to be ignored for some time. It may well become a by product of the production of Brazzein. Zero glycemic index. Very sweet. Suitable for diabetics. It is a natural product. No concerns known. Has been consumed for centuries by natives in West Africa. Only tiny amounts are needed to sweeten food and the body is able to metabolize it like any other protein. It comes from Oubli Climbing Plant of West Africa. Probably will not be as useful or popular as Brazzein. However certain future specific applications in either the pharmaceutical or food industry are likely. Probably another useful natural sweetener. Likely to be many years before it emerges.